Fulvio Bianconi was born in Padua in 1915. 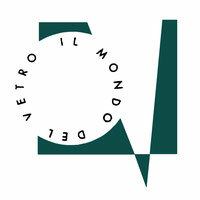 His carrer started in Milan where he collaborated as graphic designer and illustrator with the publishers Mondadori, Bombiani, Garzanti and frescoed the Galtrucco shops and Trade Fair pavilions. 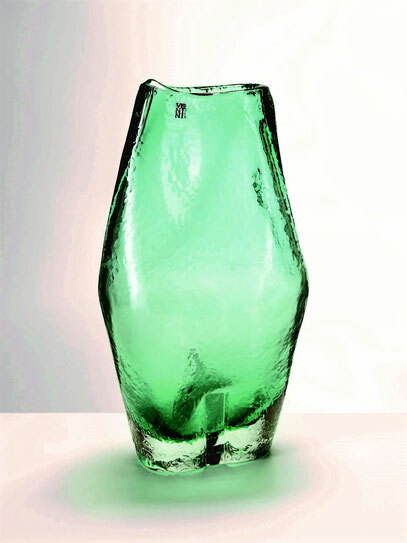 In 1946 he travelled many times to Murano to learn more about the art of glassmaking. Here he met Paolo Venini who, sensing the creative spirit of the young Bianconi, invited him to collaborate with his glassworks. This collaboration continued until the mid-Fifties and episodically during the Sixties, and then again between the end of the Eighties and the early Nineties. During all these years Bianconi and Paolo Venini established a fruitful relationship, based on mutual respect and enthusiasm, which led Bianconi to have a strong influence on the production of the glassware company. Bianconi focussed on pieces with sophisticated shapes, characterized by strong colours, designing striking works, some of which sum up the enthusiasm of the “fabulous” Fifties. In 1958, Bianconi also worked for Cenedese's, in 1963 for Vistosi's and in 1966, occasionally, for the Galliano and Ferro Glass factory. Fulvio Bianconi established a totally up-to-date link with the history of Murano. He died in Milan in 1996.